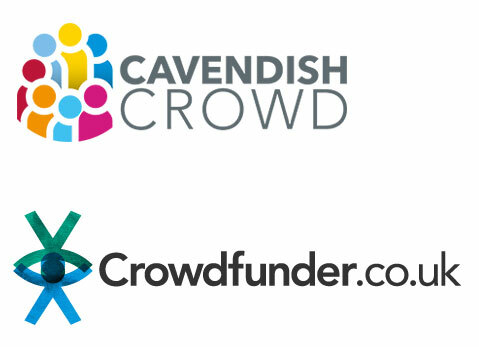 Cavendish Crowd - Get the most from Crowdfunding! Offering rewards in return for money is the perfect way to turn your business idea into reality. Cavendish Enterprise, a consortium of NBV and 6 other Enterprise Agencies, have partnered with Crowdfunder to help start-up and growing businesses with bespoke crowdfunding advice and support. Cavendish Crowd will be helping businesses across the UK and have even provided £5000 of funding which will be distributed to the most successful crowdfunding bids over the coming months. You could be looking to raise anything from a couple of hundred pounds to tens of thousands for a wide range of different things and we are here to help you. And by proving it works you could be eligible for further funding from our partners as so many other projects have found out! We love Great British business and we’ve helped thousands of new ventures flourish across the UK. We’ve teamed up with Crowdfunder to create the Cavendish Crowd – a partnership aimed at supporting and inspiring businesses across the East Midlands. Together we aim to champion some of the brightest and most exciting start-ups. Check out our top five tips, and visit the campaign to tell us about your idea alongside getting more crowdfunding advice and support. Crowdfunding is about reaching out to the community around you, in business, this could be your current customers – or your future customers if you are launching a new product or brand. Start close to home with your friends and family, talk to your loyal supporters and identify your wider network. You’ll need their support – so make sure to ask them to share your campaign when it’s up and running. Plan – fail to prepare, prepare to fail You need a plan, you need a team and you need to know who is doing what and when. Many of the most successful business Crowdfunder campaigns have pledgers lined up before the launch date in order to drive momentum once the campaign is live. It’s also a great idea to plan your social media, PR, and marketing approach before you start so it’s plain sailing when your campaign launches.